Gautama Buddha was born in the 6th centure B.C in Kapilabastu district. Which lies in Lumbini Zone in the Terai rigion of Nepal . It was once the kingdom Shakyas in 6th century .Suddododhana Sakya was the king of Kapilbastu . His queen Mayadevi gave birth to Siddartha at a place called Lumbini.Siddhartha ,who came to be regonized as Gautama Buddha .he was married with Yasodhara at the age of 13 .They had son called Rahul . Siddhartha offered lonliness from his very childhood. He used think about the worries of human life .He used to ask himself , why do people endure from diseases ? why do people grow old ? why do the die ?what is the remedy of all such trobles ? He was eager to know the obscurity of life . At the age of 29 , he abandoned wife , son, parents and relatives and his future kingship , and at midnight in seek of knowledge and truth of life . He visited to many places , went to and made association with many friends ,but he was disstisfied . He sat for meditation in gaya for six years and practised hard penances. At last, on the day of Baiakh purnima sitting under a Bodhi tree, he attained a supreme knowledge and become "Buddha"or the enlightened one .Therafter , he was called Gautama Buddha . 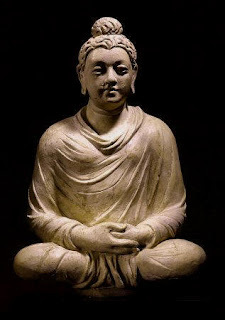 are some the teaching of Buddha.He dieed at kushiagar at the age og eighty after his death , his follwers made up his teachings which gave birth a new religion , called Buddism . Buddism diffused all over the world and became a major religon. Today , Gautama Buddha is known as "Light of Asia ". the preacher of peace madce N epal known widely thoughout the world , Lumbini ,the birth place of Gautama Buddha become apilgrim and a center of tourism in the country .thus , Gautama Buddha prostrate the foundation of peace and frienship. The traditional characteristies and its people.